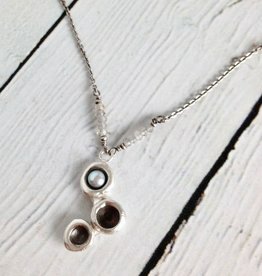 Necklace is 16” long with a 2” extension. Larimar stones measure approximately .25” x .15”. Handmade by Evan Knox in her Brown County Studio. 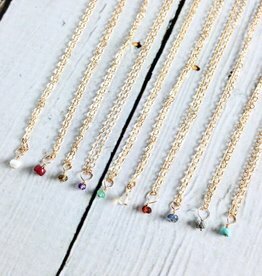 Sterling 14k Goldfill teeny tiny birthstone necklace from Evan Knox. 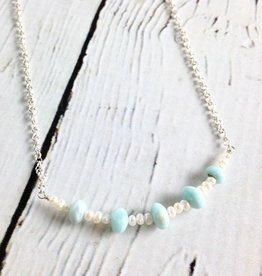 Necklace is 16” long and features a tiny semi-precious gemstone of your choosing. 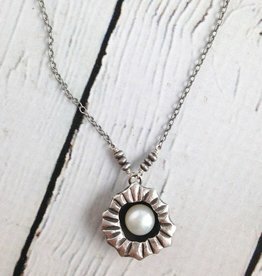 This listing is for one necklace. Pick your favorite color or your birthstone! 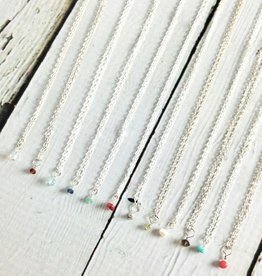 Sterling silver teeny tiny birthstone necklace from Evan Knox. 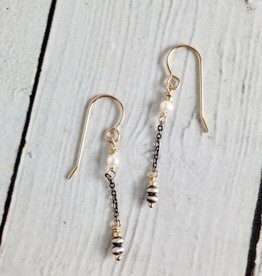 Handmade Oxidized Sterling with 14kt Gold Filled and White Freshwater Pearl Earrings. Handmade by our friends at J&I Jewelry, in their Philadelphia studio. 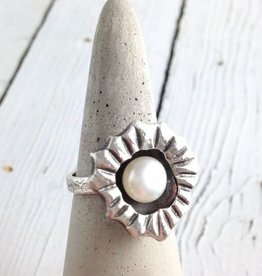 Sterling encased white freshwater pearl ring, size 8. 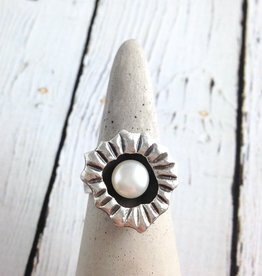 We refer to this as the "mermaid ring." Totally perfect for mermaids! 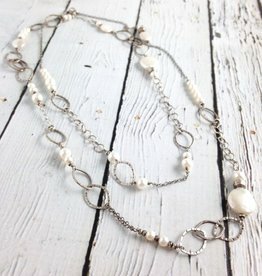 Handmade Long hammered sterling and white pearl necklace. 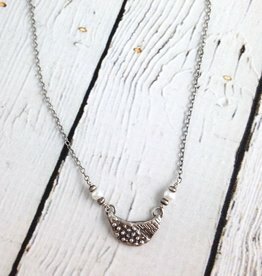 Can be work as a long necklace, wrapped as a shorter necklace, or wrapped around a wrist as a bracelet. It's like 3 pieces of jewelry in one. Necklace measures 40" long with clasp closure. 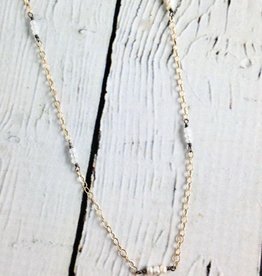 Sterling encased white freshwater pearl on chain necklace. If a mermaid wore a J&I necklace, they would wear this. Necklace measures 18” long with 1.5” extension. Charm measures approximately .75” x .75”.